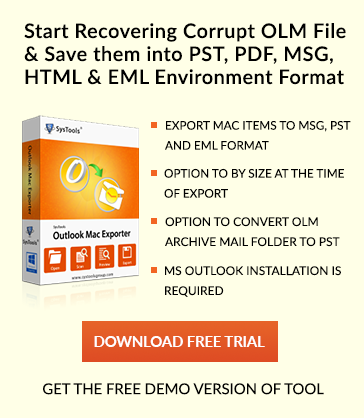 Additional Trick: – Try OLM to PST Converter and easily view entire data from Mac Outlook to Windows Outlook. It is the suggested and trusted solution. This error may be generated at the time of sending emails from Mac Outlook and it is unable to be processed because of the authentication issue. Due to this authentication problem or missing account, while user sending or receiving emails in Mac Outlook 2011, an error code 17897 occurs. This error may also occur in case user SMTP port is absent. It may also occur due to the missing Outlook configuration and if drop down authentication box is set to none. These may be the possible reason for the occurrence of Outlook 2011 MAC error code 17897. To fix this error code 17897, there are multiple ways which we are going to discuss in this article. To completely remove this Mac Outlook error, follow the below given steps. In case users have configured Microsoft Outlook in MAC OS, users should verify the configuration settings to make sure that all the settings are done correctly. If all settings and authentication details are correct then the user could process for the second step. And if authentication is set to Incoming Server Information, go to dropdown and select none and hit OK. Provide the credentials like username & password for the Outgoing Mail Server if the incoming server you are using is different. Click OK.
Click on Tools and select Accounts. Choose the desired account and connect it. Mark the checkbox named as Override default port following the Outgoing server. The port number should be 587. The checkbox Use SSL to connect should be ticked. Again after making above changes in SMTP port, send email to check if you are able to send it or not and the error code 17897 has been removed or not. If you are still unable to receive or send messages after applying all the above steps and could not be fixed up Outlook 2011 error code 17897. Then you will need to use a perfect third-party tool. For that Outlook OLM file to PST tool is the best utility which allows olm file to be accessed in Outlook by converting it into PST format. It is very easy to operate. In above article, we have discussed the article on mac Outlook 2011 error code 17897. It may occur during sending or receiving of emails in Mac outlook. We have mentioned the solutions to fixed up this error and the trouble-free approach to fixing it by using a perfect third-party tool.